Apple CEO Tim Cook may have accidentally teased Apple Pencil support for the "iPhone 7" in an interview in May, according to a recent blog post. "If you've ever seen what can be created with that pencil on an iPad or an iPhone, it's really unbelievable," Cook said in a video interview with NDTV, found by Daring Fireball's John Gruber. While Cook may have simply misspoken, the apparently deliberate phrasing of the comment could imply Apple had iPhone support underway. 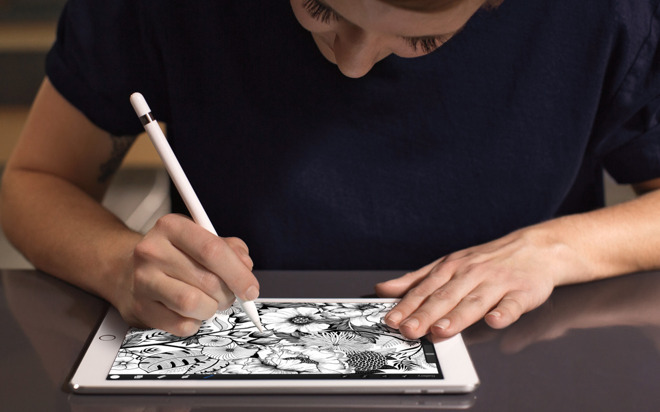 The Apple Pencil was originally launched last year alongside the 12.9-inch iPad Pro. Since then, the only other device to gain support has been the 9.7-inch version of the tablet. Apple has traditionally resisted offering a stylus for any of its modern devices —in fact, the iPhone's touch interface was conceived as a superior alternative, and Cook's comment was in defense of offering the Pencil for iPads, given Steve Jobs once saying "if you see a stylus, they blew it" in relation to tablet interfaces. Until now there have been no rumors of the "iPhone 7" having Pencil support, even though the phone is due to be announced tomorrow. It wouldn't necessarily be noticed in parts leaks however, since most if not all of the technology could be carried over from the iPad Pro.